NAIROBI, Kenya, November 11, 2011 (ENS) – A global effort to eliminate lead in transport fuel is now nearly complete, says the United Nations agency tasked with accomplishing that goal. The health benefits linked to ridding the world of leaded gas amount to US$2.4 trillion each year, according to new research by scientists at California State University. As an outcome of the 2002 World Summit on Sustainable Development in Johannesburg, the UN Environment Programme was asked to lead the Partnership for Clean Fuels and Vehicles, a public-private partnership that has helped most developing and transitional countries go unleaded. Over the past decade, the campaign has resulted in a near-global elimination of leaded fuel, says UNEP. At least 185 countries have stopped adding lead to transport fuel. Only six – Afghanistan, Algeria, Iraq, North Korea, Myanmar and Yemen – are still using leaded fuel. They are expected to make the transition to unleaded gasoline over the next year or two. “This will go down in history as one of the major environmental achievements of the past few decades. It is a triumph of diplomacy and public-private collaboration,” said Steiner. Gasoline, when used in high-compression internal combustion engines, has a tendency to autoignite, causing damaging engine knocking or pinging. The addition of lead prevents that effect. 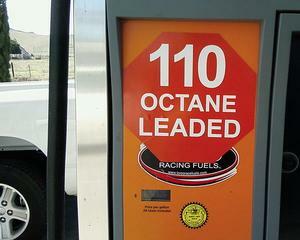 It has also been added to boost octane levels, which boosts engine performance. But the use of lead in gasoline prevents the use of emission controls, such as catalytic converters, that can reduce harmful emissions by up to 90 percent. Catalytic converters are now standard in all new gasoline-fueled vehicles worldwide. A range of additives have replaced lead compounds, including aromatic hydrocarbons, ethers and ethanol or methanol. Developed countries, including the United States and parts of Europe, banned the use of leaded transport fuels from the mid-1970s when it was found that inhalating lead particles released from vehicle tailpipes is highly toxic. 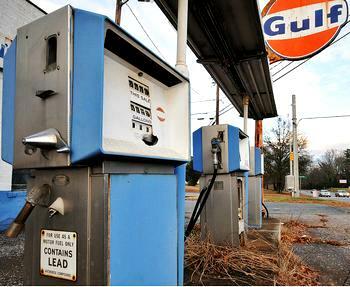 Lead poisoning has been one of the world’s most serious environmental health problems, and leaded gasoline has been responsible for some 90 percent of human lead exposure. The health benefits linked to ridding the world of leaded gas amount to US$2.4 trillion each year, finds a study by scientists at California State University that will be published in the “Journal of Environmental Health” in December. Improvements in IQ, reductions in cardiovascular diseases, and decline in criminality are among the benefits. Research has indicated that children with high levels of lead in their blood are much more likely to be aggressive, violent and delinquent. Lead poisoning also is associated with high blood pressure, delayed mental and physical development and reduced attention span. The study, “The Global Benefits of Phasing Out Leaded Fuel,” finds that the economic benefits may prove to be even higher if factors such as cancer and rising urbanization, where the impacts of lead pollution are higher, are taken into account. “When the first draft report came out we all felt that these numbers were too high. How can removing lead from petrol result in benefits equal to four percent of the GDP. It was too good to be true,” said Professor Thomas Hatfield, chair of the Department of Environmental and Occupational Health at California State University, Northridge, who co-wrote the report with researcher Peter Tsai. The World Health Organization estimates that between 15 and 18 million children in developing countries now suffer from permanent brain damage due to lead poisoning. But the cleaner fuels effort as a whole still has a long way to go, say both Lehner and Steiner. “And as we rid the world of one unnecessarily harmful fuel additive, we look to generate global momentum to clean up harmful diesel pollution that still shrouds so many cities worldwide,” said Lehner. Steiner said action is now underway to tackle other health hazardous vehicle emissions, such as the unacceptably high levels of sulfur still found in fuels in African countries. “Yet again, here is a clear body of analysis that demonstrates that far from being a burden on economies, acting on environmental challenges generates multiple Green Economy benefits right across countries and economies,” said Steiner.